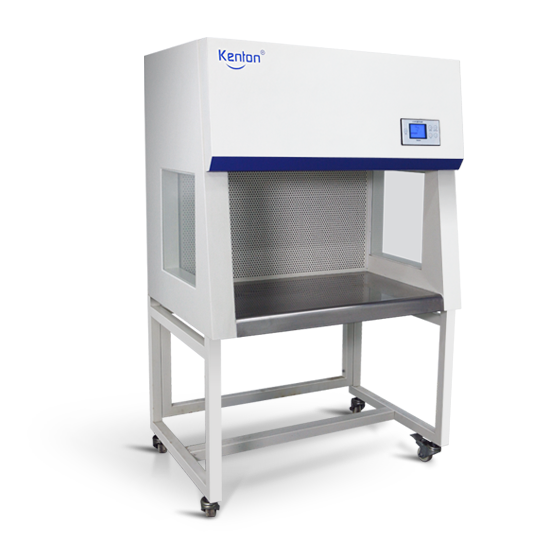 Whether it is laboratory research, or medical and health or higher education institutions, in the process of experiment, it is inevitable to use the purification workbench to provide a local clean and sterile working environment for the staff of one of the laboratory equipment. At present, there are two kinds of workbenches, horizontal and vertical, which can meet the needs of most industries according to different models. 1. Whether the installation position of ultra-clean worktable is properly selected will directly affect the use effect and service life. Therefore, when installing super-clean workbench, it is necessary to install in the workshop with better sanitary conditions. It is better to lay plastic or water-milled floor to facilitate cleaning and dust removal, and pay attention to the sealing of doors and windows, so as to avoid the impact of external dust particles on the indoor, so as to achieve the desired service life and purification effect. 2. Open the product package and check whether the items listed in the packing list are in conformity with the physical items. Then open the attachment box and take out the two parts of the frame and the rear frame on the left and right sides. The frame is assembled according to the schematic diagram. The inner hexagonal screw is fixed to the combination of the rear and lower middle parts of the left and right frame by means of tools. The fixing is required to be firm and not loose. Then the box body is lifted into the upper part of the frame according to the schematic diagram and matched with the positioning bolt. Finally, adjust the height of the caster and the level with an open wrench, and lock the positioning nut of the caster to complete the installation. When moving the ultra-clean worktable, attention should be paid to relaxing the front wheel brake of the frame, and the front wheel brake should be placed in the brake position after moving in place. 3. Installation position of super-clean worktable should be far away from the place where there is vibration and noise, especially the impact of vibration on it. If there is vibration around, measures should be taken. 4. In order to improve the service life of the filter, it is strictly forbidden to install in the working area where high-speed dust particles are produced. 5. The normal flow of air in the purification zone is an important factor to ensure the purification effect. It is strictly forbidden to install in places susceptible to the influence of external air flow. 6. Leakage gas can be checked if there is a testing instrument. Leakage detection is to move the probe of the energy meter along the edge of the air outlet end of the upper part of the operation area and observe the instrument pointer. When the pointer is deflected once, there is a loophole. So repeatedly check the whole outlet section, determine the leakage location, and then correct it. Leakage may be caused by unstressed or damaged edge sealing sponge pad, or leakage of high efficiency filter. The leakage gas is checked by the hot-ball anemometer. After the fan is started, the anemometer probe is placed 200 mm away from the operating table. The probe is placed on each position to observe the dial pointer reading and whether there is abnormal wind speed.